A darling new character from New York Times bestselling illustrator Renata Liwska! 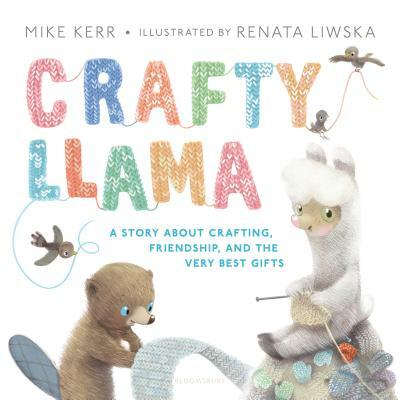 Created with author Mike Kerr, this is a story about crafting, friendship, and the very best gifts, perfect for fans of Extra Yarn. Llama loves to make things. It doesn't matter what, really--something special, something lovely. Mike Kerr and Renata Liwska have successfully collaborated before--at home, doing or avoiding chores, and on the road, sketching at any trendy coffee shop they come across. As a husband-and-wife team they have now taken their collaboration to the next level by writing and drawing about one of their favorite subjects--handmade crafts!